After you get married, you need to balance the time you spend with your husband or wife while occasionally, you’ll need to demarcate some time for your own hobbies and interests.Both the spouses need personal space to grow and evolve as individual while being in a loving relationship and spending most of the time together. 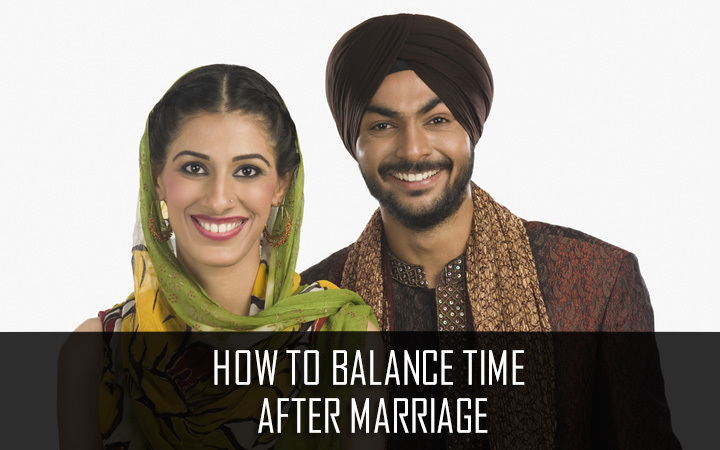 It is natural but knowing how to balance time after marriage is essential for mutual happiness. However, to ensure spending time together, both the husband and wife need to take time out for each other and make adjustments, while working and tending to your responsibilities. 1- Good communication: Though you and your partner may have different ideas about spending time together, you should make the effort to put your views forward to meet at the middle ground. This will help you spend the time together the way both of you like. Give full attention to each other and enjoy the time spent together.2- Steal a few minutes in the morning: Before the day begins and you get enveloped in the chaos of sending kids to school and rest of the family seeking your attention, spend some time together. If he or she is not a morning person, maybe you can spend some ‘me’ time catching up on a book, exercising or listening to music. 3- Follow your interests/hobbies together: Whether it is gardening or just listening to music, you can make it a family activity or a couple activity. This will give both of you time to enjoy each other’s company doing what you both love. 4- Some ‘me’ time: Letting your spouse follow his or her interests and spending time with own friends is equally important. Go shopping with your friends or enjoy a day doing what you love, when your husband wants to spend time with his friends watching football or cricket. Sometimes, it is necessary to take time off for your own self. Marriage is a bond that grows and is nurtured by happiness and love. When you are happy only then can you give 100% to the marriage, family and spouse, so spend quality time with yourself and your spouse.